Some of the greatest rock songs are short. They start with a hard count, move fast and get your blood moving with just the right amount of energy to leave you inspired and set you on a course to create something of your own. I connected early on with Jason Miller’s “Welcome to the Funnel: Proven Tactics to Turn Your Social And Content Marketing Up To 11” early on. By early on, I mean before I actually knew it was a book. Disclosure: Jason works for LinkedIn, a TopRank Online Marketing client. 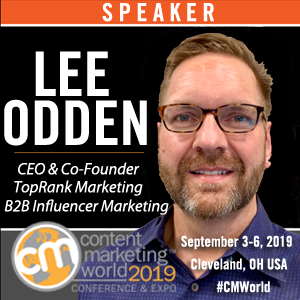 I first saw Jason speak at Content Marketing World (covered here by TopRank’s Jesse Pickrain) in which he stood before a giant screen displaying a PowerPoint deck covered in KISS heads in makeup, demonstrating how the band KISS can be seen as an example of a modern marketing team. That made perfect sense to me. I was a child of the late 80s and early 90s heavy metal and hair bands and I understood how Paul Stanley and Gene Simmons had built a marketing empire that had it’s own KISS Army of followers. Fast forward to this fall and I’m getting ready to start my new gig as Agency Director of Content Marketing at TopRank Marketing and I ordered “Welcome to the Funnel” Kindle edition for a quick read. Jason’s story from the book’s introduction was kind of similar to my own. He left what he perceived as a dying (or at least rapidly-changing, disruptable industry), loaded some new skills into the toolbox and went off to pursue a career in digital marketing. Kudos for Jason for his ability and persistence in content development and strategy to turn that career change into time with Marketo and now LinkedIn, where he works as Senior Manager, Content Marketing. Side 4: Appendix and Special Thanks. The meat and potatoes of this rock -n- roll course in content marketing are on the first “record” where Jason blazes through 29 chapters of everything you need to get a content program off the ground and through your social channel. “Welcome to the Funnel” is a guide book that can be approached from cover to cover in an afternoon read, and should be kept on your desk as a reminder of what step is next. Jason asks in the book if your content is doing the job it is supposed to. Is it helpful? Interesting? Will it inspire them to take action? To Jason, your blog is a form of social currency. It’s the band manager of the rock world — the fliers and videos and in-store appearances that keep fans in tune with what you’re doing, where you’ll be next and how to get tickets to your show. 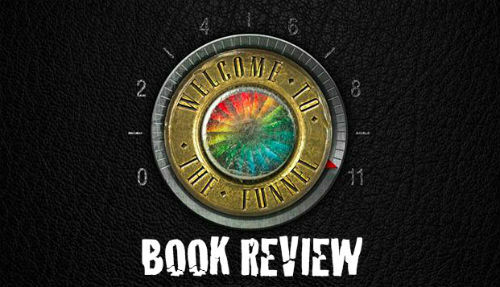 “Welcome to the Funnel” isn’t all rock-n-roll analogies, by the way. There’s plenty of food too! Monday: Light snack of tips, tricks and how-to’s. Wednesday: Give them a dinner roast, something to chew on. The main course is a 1,500-3,000-word post. Thursday: Start a fire with Tobasco. Drop a hot topic on them and see what it stirs up. Friday: You’ve saved the chocolate cake for last. This is a fun post, something to show your personality and get them coming back next week. Another great food analogy Jason borrowed from Rebecca Lieb at Altimeter Group. When you’ve rocked your turkey dinner, you should treat your content like leftover turkey. Slice it and dice it and reuse it when you can. 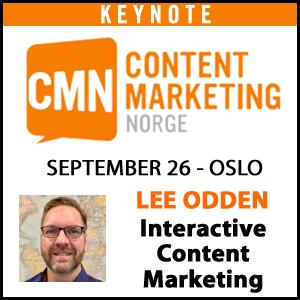 Jason includes five tips for content repurposing in the book, along useful advice for creating larger “Big Rock” content, as well as infographics, global content development and tips for putting together a rockstar marketing team. It’s refreshing to read Jason’s take that “The ROI of social is no longer a mystery.” Jason demonstrates the knowledge and experience of building social marketing campaigns for B2B marketers. 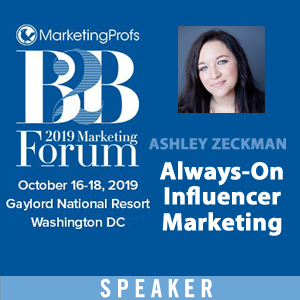 He debunks what far too many marketers consider social media “vanity metrics” and points readers toward what really matters on social channels. So you know what you need and you think the song’s about to end, or the record is getting near the center when there’s a few big jams left: How to Hire a Rockstar to Do All of This, What KISS Can Teach You About Building a Modern Marketing Team (How To Organize Your Team for Success) is that encore of sorts that wraps it all together. (Speaking of KISS, for an example of perfectly repurposed content, see paragraph 4). As Jason says, “let’s all make a commitment to be better writers first and content creators second.” This book will help you get there. As a marketer, writer, and former mulleted head-banger, I wanted to reach out to Jason with a few specific questions about the book, his approach and his process. I hope you’ll enjoy his insight as much as I have. Over the past few years of speaking at various conferences my rock n roll analogies for marketing really started to resonate with marketers. I always specialized in the top of the funnel and felt like there was a need for a how-to guide for businesses who were struggling with a top of funnel strategy. So I decided to put everything I know about content and social, everything I have learned from my experience at Sony, Marketo, and LinkedIn into one place and fuse it together with some fun rock n roll stories and references. What’s the rock and roll connection between the book theme, you and marketing? The first thing I ever fell in love with was heavy metal music back when I was ten years old. It’s always been a part of what I do and I love turning people on to new music. Later on I would find out that I also love to turn people on to new marketing ideas and that there were plenty of rock n roll stories that parallel with marketing and illustrate various marketing practices in fun and innovative ways. So I combined the two things in life that I love and it seems to have worked. What’s the story on the illustrations? I had no budget since I was self-publishing, so I found a guy on Fiverr to work with. Some of the illustrations are brilliant and some are kind of silly, but that’s sort of my personality as well. The main point of the illustrations were to inject some of my favorite rock n roll quotes into the book that keep me inspired as a marketer. I love the Dave Grohl and Slash illustrations, but the Dylan looks a bit like a Buddy Holly and Neil Diamond looks like Richard Simmons, but hey, it’s kitschy right? How did you decide on the book length? Simple, it was as long as I needed it to be. I wanted it to be a quick read with no fluff. It’s everything I think a marketer needs to know about social and content to be successful and drive real results along with a few personal lessons I learned along the way. What’s your verdict on self-publishing? I decided to self-publish for several reasons but here are the main three. 1. There was a certain urgency to the story I had to tell and there is no telling how long it would have taken for a publisher to release this. 2. I have a pretty good network, and an amazing designer friend so I knew I could do this on my own. 3. No publishers were really interested as I was turned down several times. My guess is that won’t be the case next time. If Jason does decide to publish on his own again it will be in true rockstar fashion – on his own terms and on his own time.